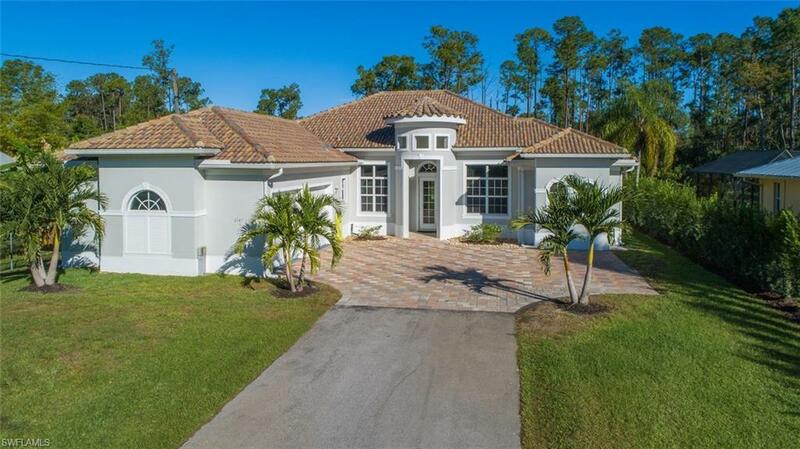 Elegant single family pool home in one of Naples premier neighborhoods of Oakes Estates built 2016 on 1.14 Acres with great proportioned floorplan 3 bedrooms+/3 full bathrooms/office/bonus room-flex (potential 4th bed)/formal dining/lounge/heated pool features an open living concept. The 18'x30' pool surrounded by an oversized Travertine sundeck with lanai cage footer already buried in case a future homeowner prefers a pool cage. The manicured property is up to 80% cleared & on a well with automatic sprinkler system. 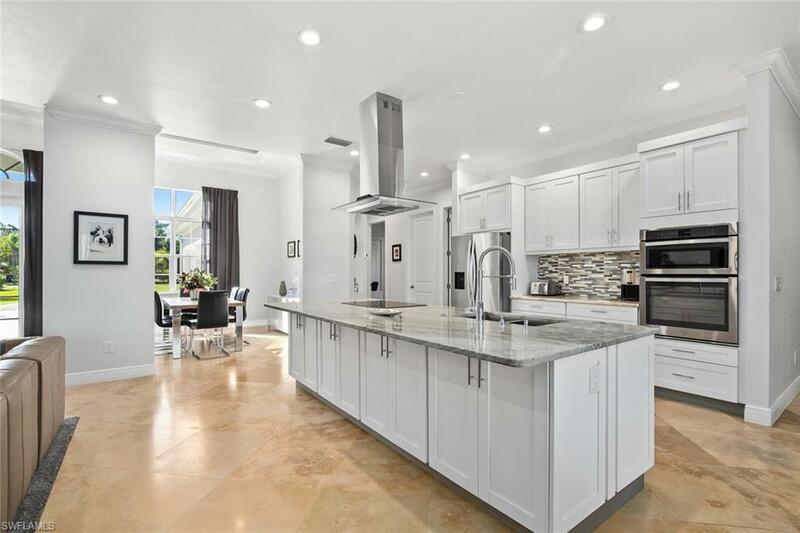 Property features: High-end Travertine tiles through-out the house, open bar gourmet kitchen with built in stainless steel microwave & oven, cooktop, dishwasher & exhaust fan, posh granite counter tops & bar, led lighting, tray ceiling in dining, living & master as well as crown molding on 10 ft ceilings. This solid built concrete block home offers a tile roof, high impact windows & doors, bay window, whole house reverse osmosis system & gutters. The neighborhood offers a perfect location close to shopping, dining, hospitals & top rated schools. 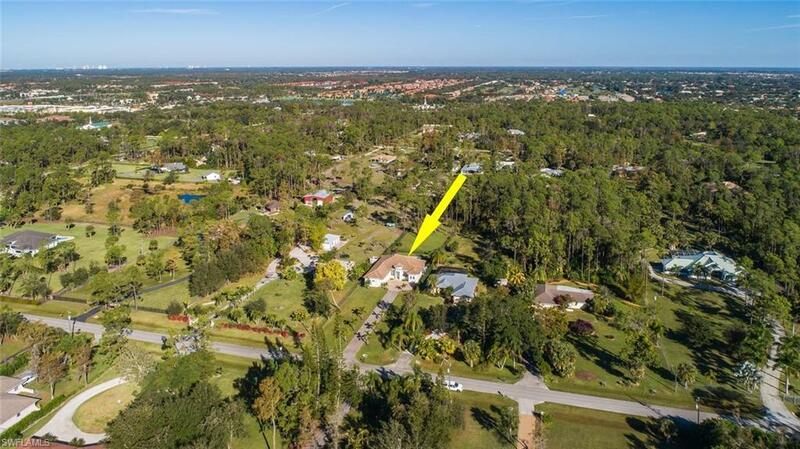 Lots of outdoor space without HOA rules & fees & only approx. 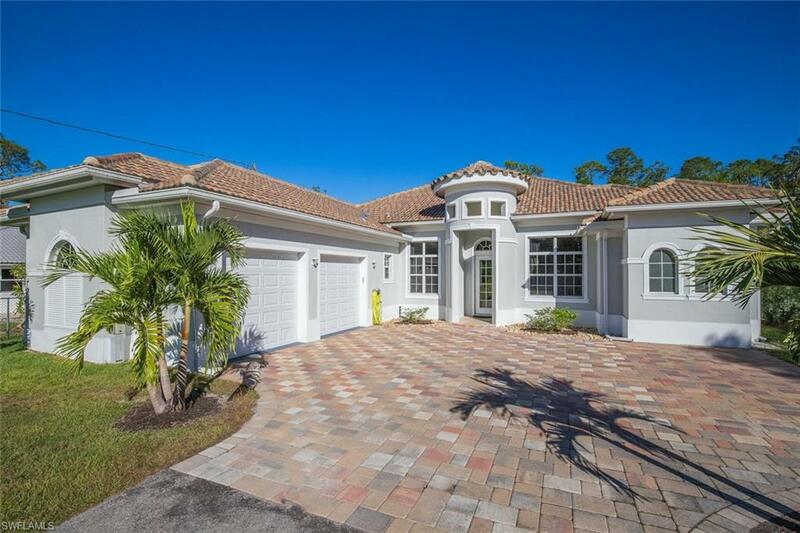 5 miles from Naples beautiful beaches. Furniture negotiable. Listing courtesy of Posh International Properties.